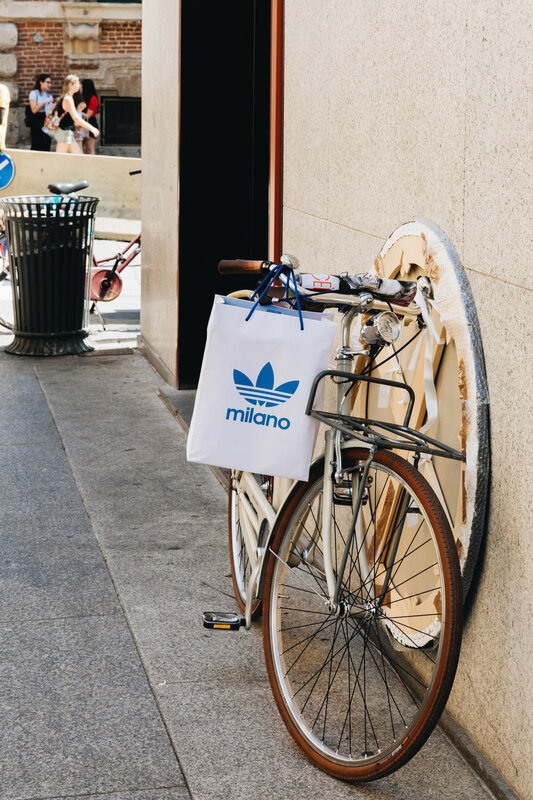 Milan was not only our home base for the remainder of our trip, but also the city we were most excited to explore. 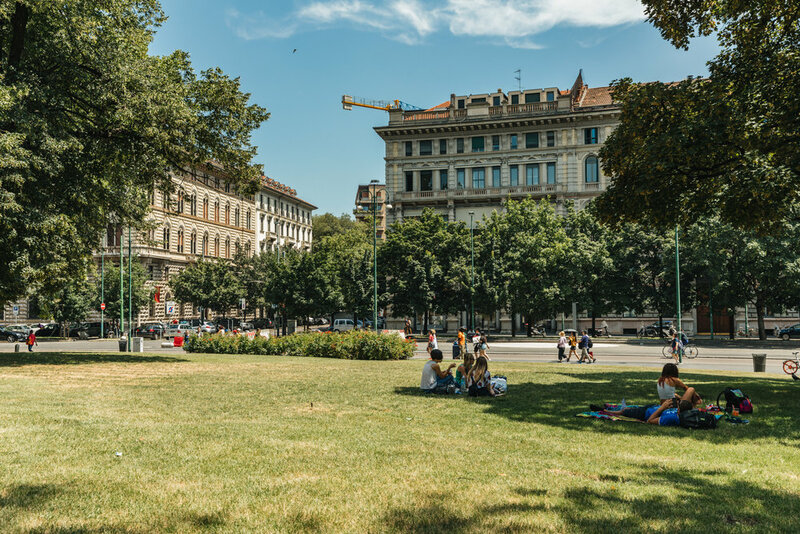 The more time we spent there, the clearer it became why Milan isn’t just a dynamic global metropolis, but the financial capital of Italy and an international epicentre for all things art, fashion, and design. 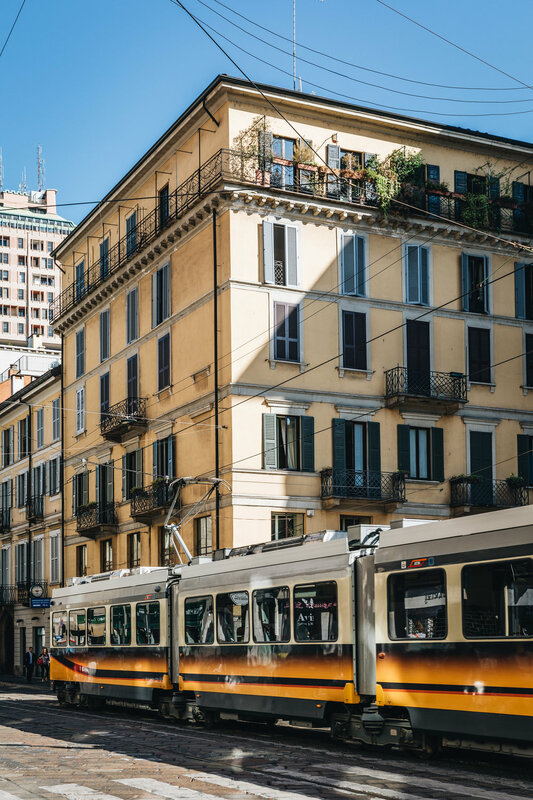 This large and lively city is home to Leonardo da Vinci’s The Last Supper, the innovative Milan Fashion Week and Milan Furniture Fair, and two of Europe’s most successful and iconic football teams: A.C. Milan and Internazionale. 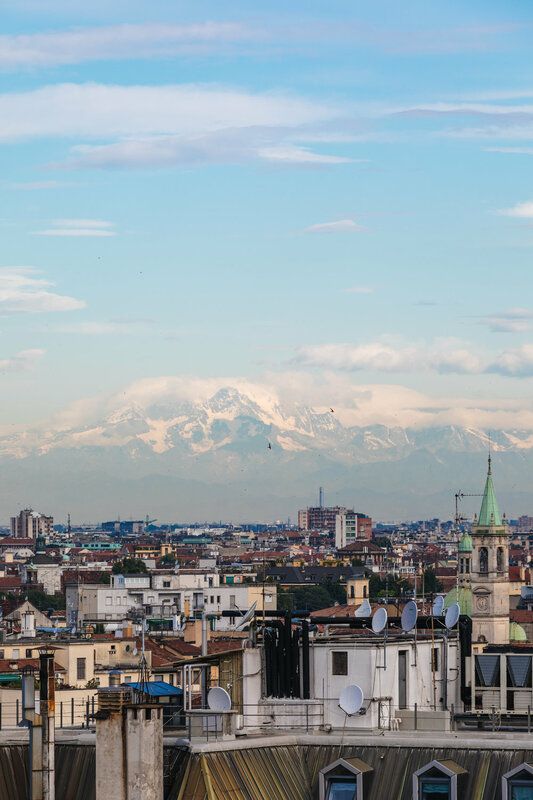 Sadly, our itinerary left us with only two full days in Milan, which was not nearly enough time to explore the many different districts, corners, and attractions of this world-class city. 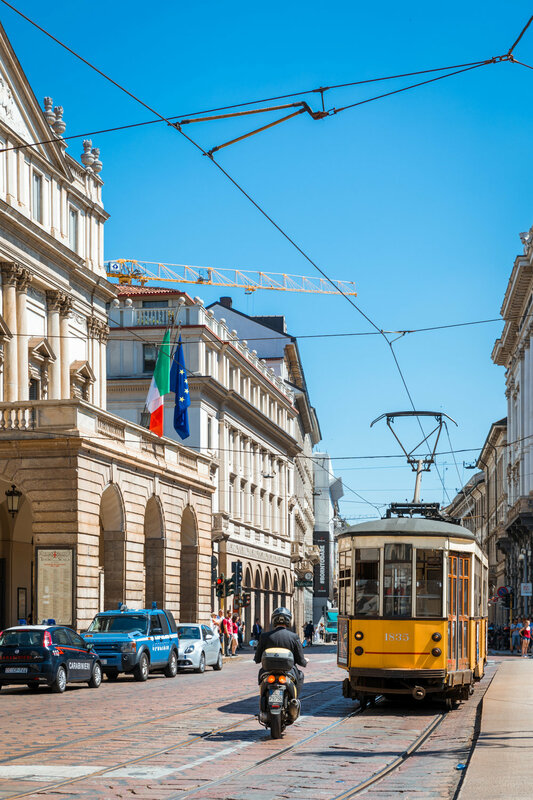 We kicked off our stay in Milan with a private walking tour to three of central Milan’s major landmarks: the Duomo di Milano, the Galleria Vittoria Emanuelle II, and the Teatro alla Scala. 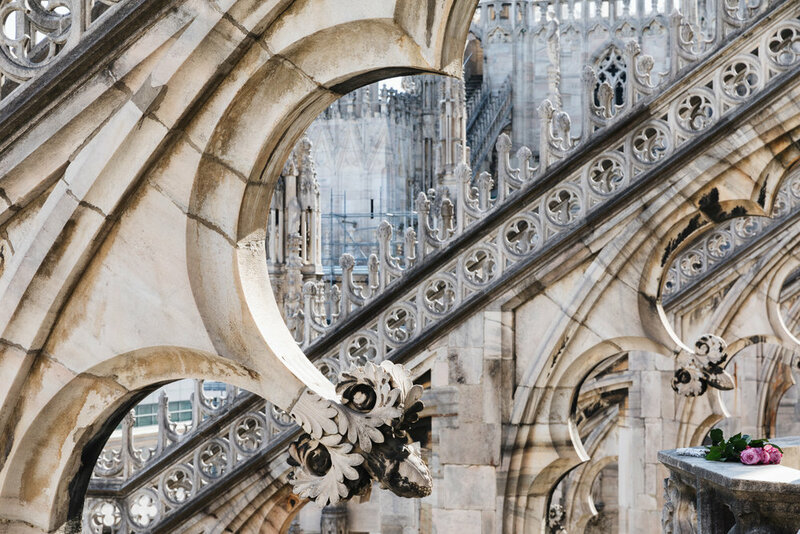 The infamous Duomo di Milano is Italy’s largest cathedral and the third largest church in the entire world. Breaking ground in 1386, the Duomo took six centuries of construction, with the work finally completing in 1965. 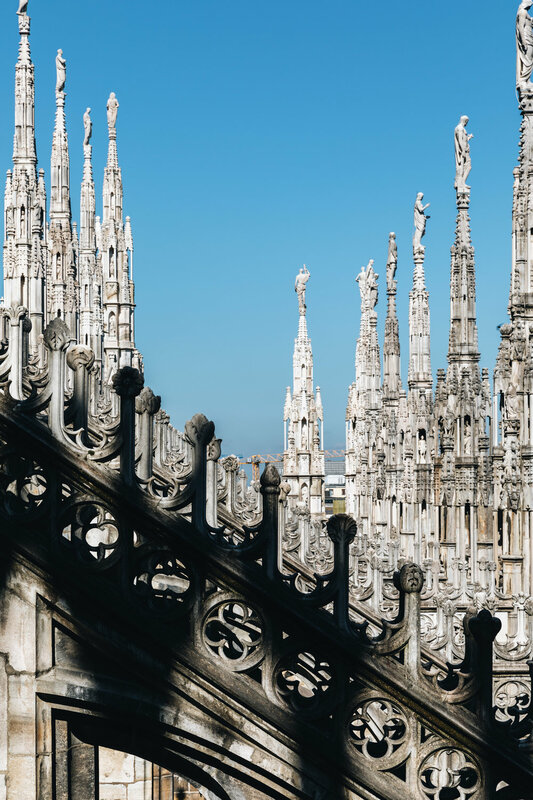 Our tour took us to the top of the Duomo, where the cathedral’s flying buttresses provided an impressive foreground to Milan’s vast cityscape. 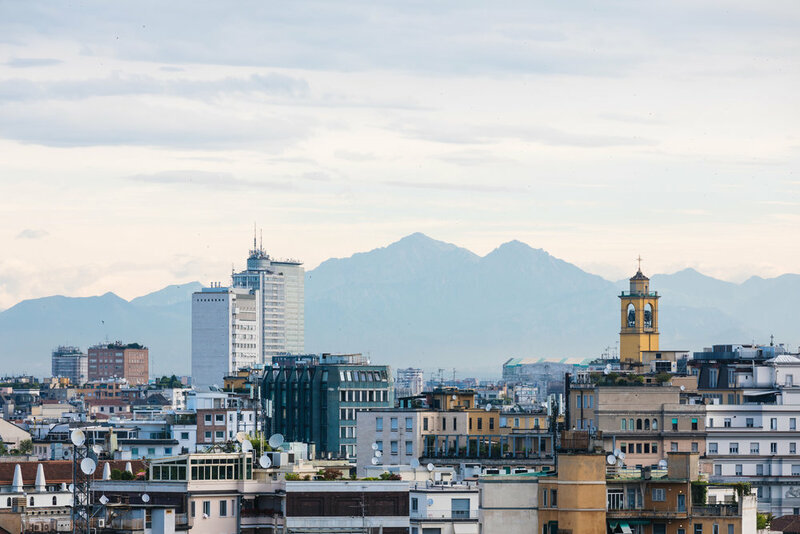 With the exception of a handful of recent commercial and residential towers, Milan, for the majority of its history, has enforced that no urban buildings can exceed the height of the Duomo, further complimenting its landmark status as an orientation point and religious icon. As an exception to the rule, you may notice the awful brutalist building in some of my photos – few Italians are fond of it – and I think you can see why! 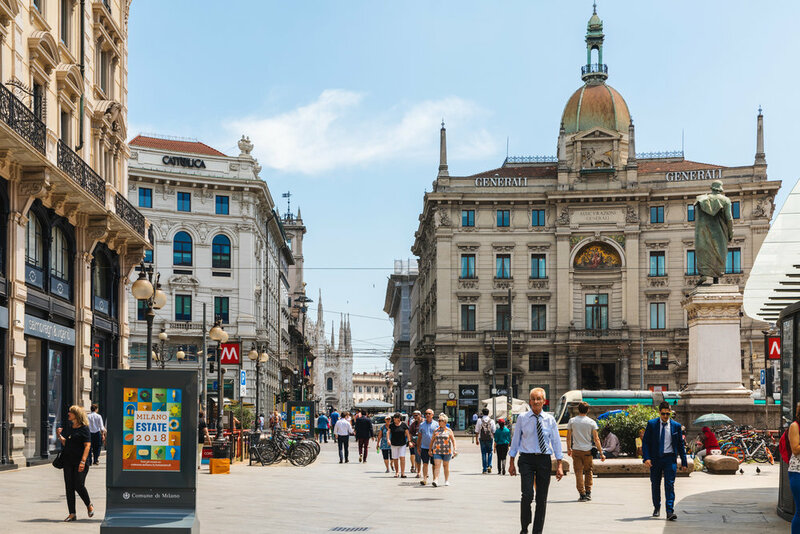 Not too far from the Duomo is Italy’s oldest shopping centre, the Galleria Vittorio Emanuele II. 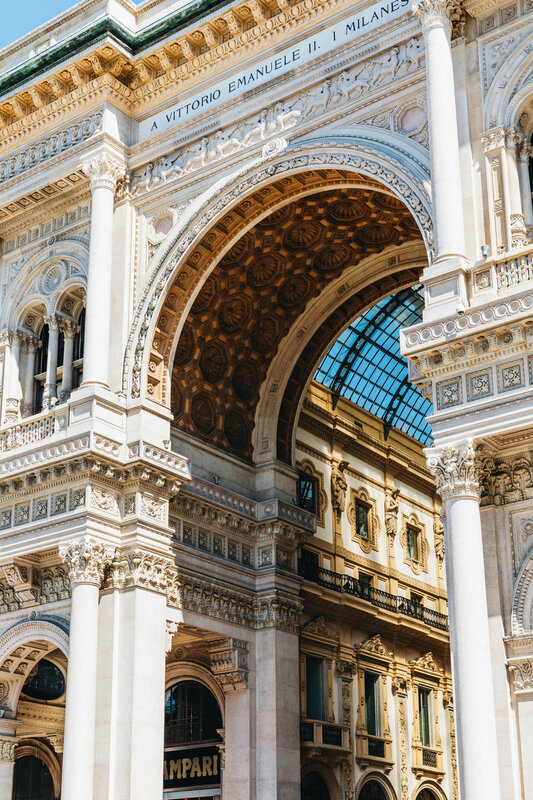 This elegant arcade boasts an impressive iron-and-glass dome, a complicated architectural feature that at the time of construction was unprecedented. 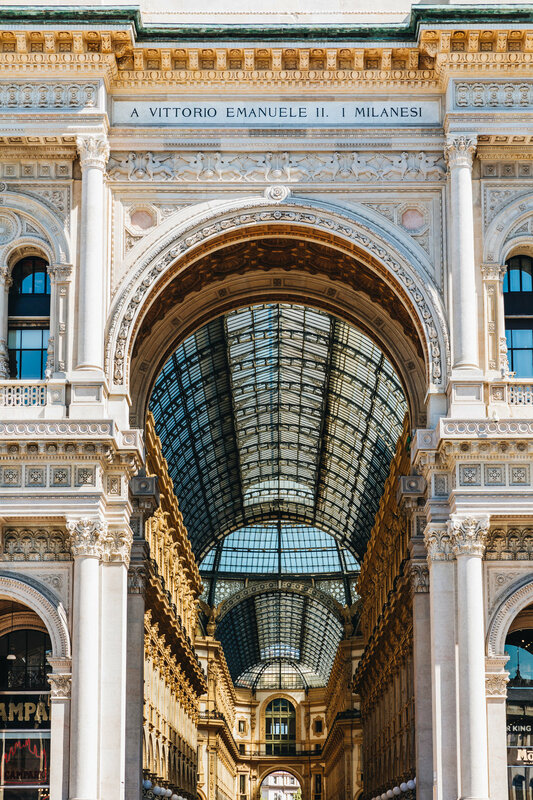 Some of the luxury tenants that call the Galleria Vittorio Emanuele II home are Prada (the original store), Gucci, Armani, and the famous aperitivo bar Camparino. 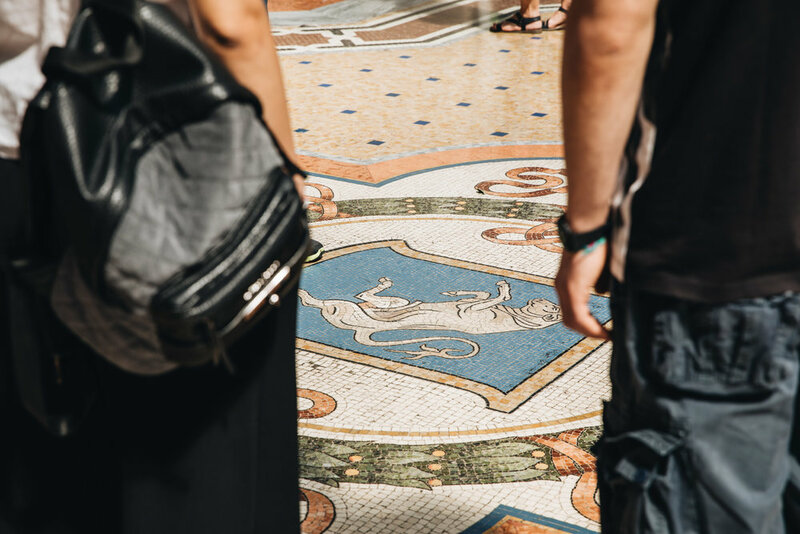 Fun fact: there is a bull mosaic depicted on the floor of the Galleria, and legend has it that if you put your heel on the bull’s testicle and spin backwards three times, good fortune will soon be on your way (you can see my father doing this ritual in the photos below). 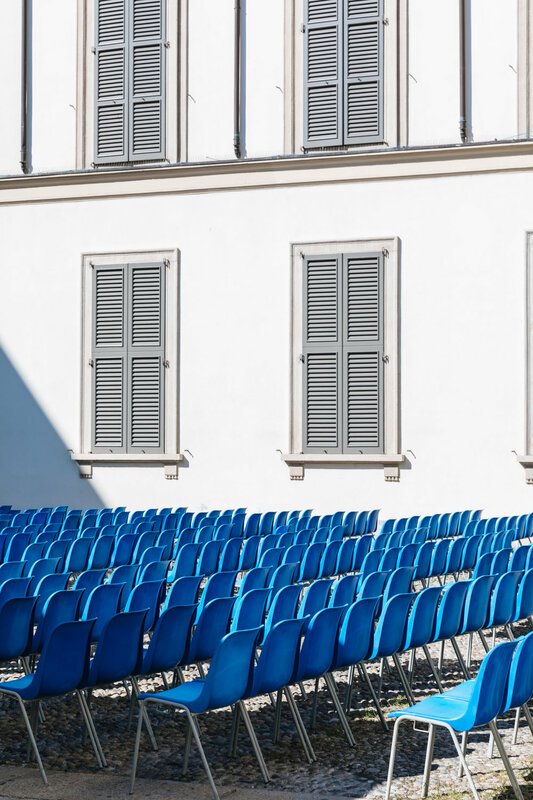 Adjacent to the Galleria is the Teatro alla Scala, Milan’s historic opera house. La Scala is a leading opera and ballet theatre where many of the world’s most talented artists have performed. On our last day in Milan we explored Brera, the artistic heart of the city. 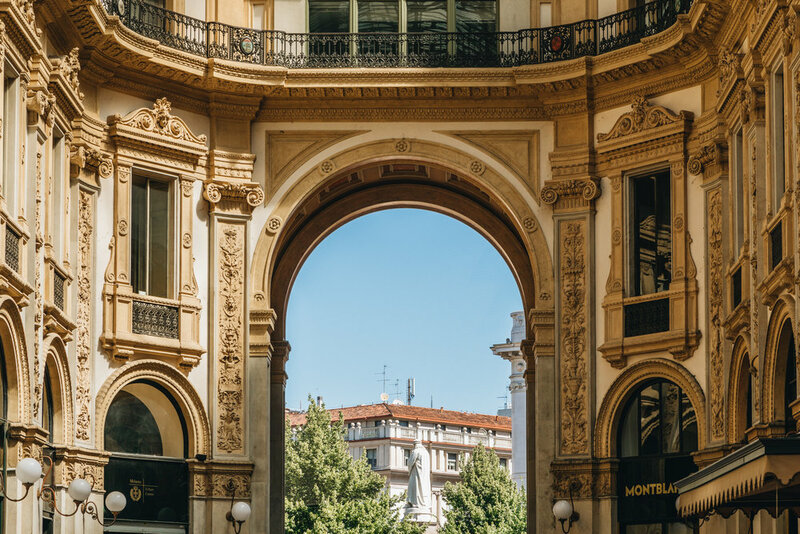 Referred to as the “Milanese Montmarte” (a historic arts district in Paris), Brera is home to prominent art houses such as the Brera Academy of Fine Arts and the Brera Art Gallery, as well as artisan art shops featuring local Italian talents. 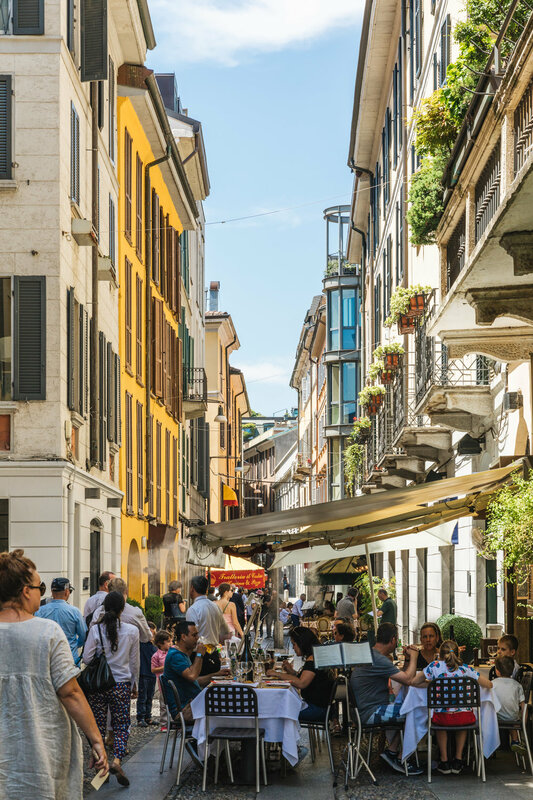 Trendy bars, restaurants, antique shops, and colourful sidewalk cafes serving Aperol Spritz line Brera’s historic narrow streets, helping to contribute to the bohemian character of this special neighbourhood. 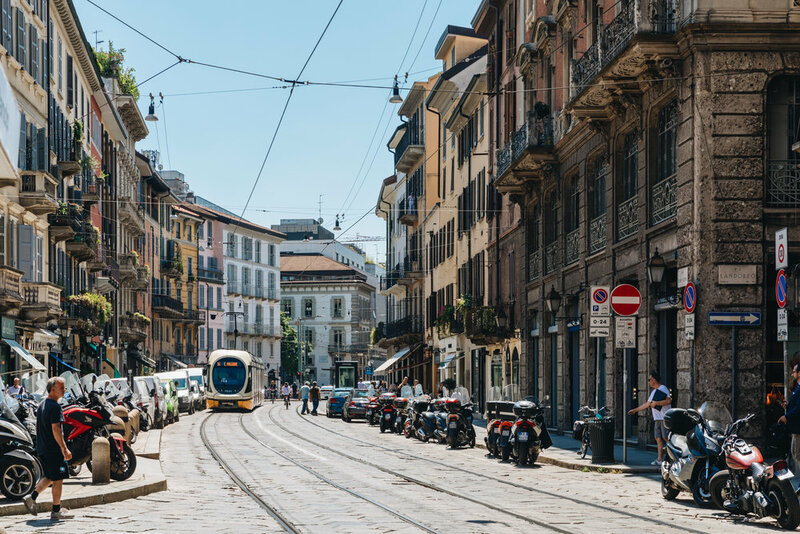 Brera is the perfect place for aimless wandering in Milan. Next - the final stop on my European blogging adventure: Como!